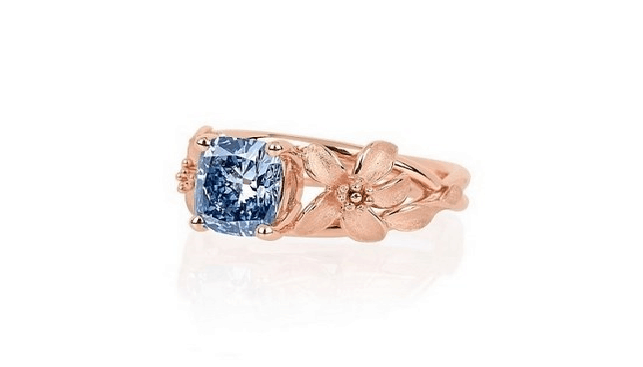 Russian diamond conglomerate World of Diamonds has crafted the Jane Seymour, a 2.08 carat Fancy Vivid Blue diamond ring in platinum, and plated with rose gold, according to a press release from the company. The diamond, which could fetch in excess of US$2 million according to World of Diamonds, was created celebrate Jane Seymour’s accomplishments in the film industry. The actress, who has starred as a Bond girl, has won an Emmy Award, two Golden Globe Awards and a star on the Hollywood Walk of Fame. The invitation to behold this creation would rather you not compare The Jane Seymour to anything else in the high jewelry world. It is a celebratory treat, more comparable to a mega-yacht or a ticket to the moon,” remarks World of Diamonds Group Director Karan Tilani.